Option to drop the playback resolution of the timeline to help playback complicated effects without rendering. Output UHD 50/60P projects to a monitor using a suitable Blackmagic or AJA card. This is a new feature in EDIUS 9 Workgroup. You can view UHD 50/60P full screen just using your graphics card but it is not a proper video signal so not the best way to do this. Using a Blackmagic/AJA card will give you a proper video signal which is great for grading as you will see the image exactly as it will appear on the final output. With EDIUS 9 Pro you can output UHD at 25/30P or full 4K at 24P, and HD at 50/60P, if the hardware supports it, the only settings that you cannot output is UHD at 50/60P even if you have a card that will do so in other programs. Added in EDIUS 9.3, you can now convert the output from EDIUS through your Blackmagic, AJA, Matrox or GV card into a format it can do, in projects it does not support. Suppose you have a Blackmagic Intensity Pro 4K.whose top resolution is UHD @ 25/30P and you are working in a UHD 50P project; EDIUS Pro will not output anything to the Tv connected to the BM card. EDIUS Workgroup will let you convert the output to you still see something – which is very useful for grading and seeing effects on a decent monitor. It is not as good as seeing the full quality output but it better than nothing. You can also specify the maximum resolution the TV can manage – so if you only have an HD TV you can tell EDIUS to only output resolutions up to HD even if you have a device that can handle higher resolutions. You can activate EDIUS Workgroup using the offline activation and then you never need to connect to the Internet with the EDIUS computer again. 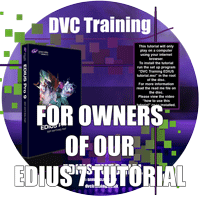 There are definite advantages of connecting your machine to the Internet and making a Grass Valley EDIUS ID to register and activate your software, but with the Workgroup version you do not need the EDIUS machine to be on the internet. EDIUS Pro has to be on the internet once a month to validate the licence. If your machine is not on the internet then it will not stop immediate the month is reached as you have a few weeks grace, but if you do not connect soon eventually the program will refuse to open unless you do connect to the Internet. YOU only have to connect for a few minutes and then can go off line again for another m0nth. If you do not use the machine for 2-3 months then all you need to do is connect to the internet when you next start the machine and EDIUS will re-activate. If your machine is on the internet permanently you will not even notice EDIUS checking the licence in the background. Avid DNxHD support for MXF files – available as an option for Pro, built in to Workgroup. This lets you load files that are saved in Avid’s specific formats and stored in MXF files. You can make Avid codec files using QuickTime using the Pro version, but more programs are now stopping supporting QuickTime files on Windows since Apple stopped supporting QT for Windows. Some programs, like DaVinci Resolve, have QT Avid support built-in. 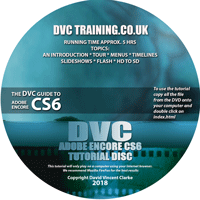 Others may not – the CC2018 version of Adobe Premiere will remind you constantly that they are dropping support for “legacy” QuickTime files and Adobe have not said if they will still support Avid format files. However, Adobe will continue to support Avid Codec MXF files – which is only possible with the Workgroup version of EDIUS. The biggest use for this feature is if collaborating with Avid users. If you want to get a project out of EDIUS and into Avid you can export an AAF with MXF Avid format files, just drop the files into an Avid media folder and import the AAF, and it is very simple to get Avid to link to the files you made in EDIUS. Most other ways of exporting a project to Avid do not work properly. EDIUS can also read any files you have imported or capture in Avid and are in the Avid media folder. Loudness metering an automatic loudness correction on export. If you are providing a clip to broadcast then it must be delivered within certain broadcast parameters. EDIUS Workgroup has a loudness meter which will analyse the timeline and point out problems, and also has the option to automatically correct the loudness on export. This is not like using a compressor or other filter to “level out” the audio on the timeline; to do that you need an extra plug-in regardless of which version of EDIUS you use. This is really only something you will need if delivering a file for broadcast. Suppose you have two speakers connected to your system but the file you are playing is surround sound. You can hear the left and right speakers but what happens to the other channels – centre, subwoofer etc? Some cameras will let you record on more than two channels and you can have different mikes on different channels – what happens when you play one of these clips in EDIUS? The Workgroup version lets you change how audio is monitored so you can down-mix several channels into 2 and hear them all on your stereo speakers. This mainly changes how you hear the clips when playing them. When editing you can choose which channels go where on the timeline and hear all the channels that you recorded in your final edit in both EDIUS Workgroup AND EDIUS Pro. This Workgroup only feature only really helps you listen to clips when playing them and hear all the channels, but the final edit will be the same. In earlier versions of EDIUS you did not have this option and would only hear selected channels when using multichannel clips. Therefore, EDIUS 9 Pro does exactly what EDIUS 4,5 6 and 7 did. This ability was added into the later versions of EDIUS 7Pro but then moved into EDIUS Workgroup when version 8 arrived. 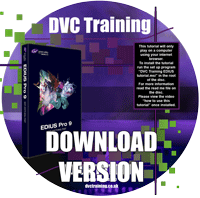 However, if you are using an older version of EDIUS and have never found multi-channel audio to be an issue you will not notice any difference choosing EDIUS Pro 9 rather than EDIUS Workgroup 9. How to deal with multi-channel audio being added to a stereo timeline is explained in my EDIUS tutorial videos. Tell EDIUS to keep and eye on a folder on your computer and anything which is dropped into that folder automatically appears in the EDIUS bin. Edit files as they are captured. This is most useful in an news organisation or somewhere there they are constantly filming live events (a parliament building, for example). EDIUS Workgroup will export files in MXF format, EDIUS Pro will not, although EDIUS Pro will make XDCAM-EX style MXF files. Add a Pro version of Dolby encoding. This was an option for EDIUS Pro 7, although it did not ship with EDIUS 7. Now it is only an option for EDIUS Workgroup 8, you cannot add it to the Pro 9 version. If the files have Dolby-E then this is passed through without re-encoding. If I have EDIUS Pro now will I loose anything by upgrading to EDIUS 9 Pro? Everything that is in EDIUS Pro 8 is in EDIUS Pro 9. If upgrading from EDIUS Pro 7 to EDIUS Pro 9 you may notice a couple of features have been removed. The following are features that were in EDIUS Pro 7 and are now only in EDIUS Workgroup so you will lose these features if you upgrade from EDIUS Pro 7 to EDIUS Pro 9. Audio monitoring mode – lets you monitor multi-channel audio on a 2 speaker system. EDIUS watch folders – Tell EDIUS to keep and eye on a folder on your computer and anything which is dropped into that folder appears in the EDIUS bin. 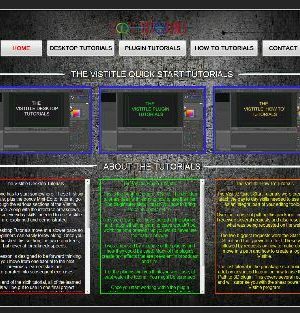 Edit growing files – edit files as they are captured. Loudness monitoring -EDIUS will play the timeline and tell you where it does not meet certain loudness standards. Generic MXF exporter – EDIUS Workgroup will export files in MXF format, EDIUS Pro will not, although EDIUS Pro will make XDCAM-EX style MXF files. Dolby Pro licence option – Add a Pro version of Dolby encoding. This was an option for EDIUS Pro 7, although it did not ship with EDIUS 7. Now it is only an option for EDIUS Workgroup 9, you cannot add it to the Pro 8 version. As mentioned above EDIUS Pro 9 needs to connect to the internet once a month; EDIUS Pro 7 did not need to do this. If you do not want to connect your editing machine to the Internet you should buy EDIUS Workgroup 9.